A collective sigh of relief can be heard among homebuyers everywhere – the bidding wars have slowed down in Georgina, but have not disappeared entirely. We measure bidding wars and multiple-offer situations by looking at the sale to list price ratio in each area. 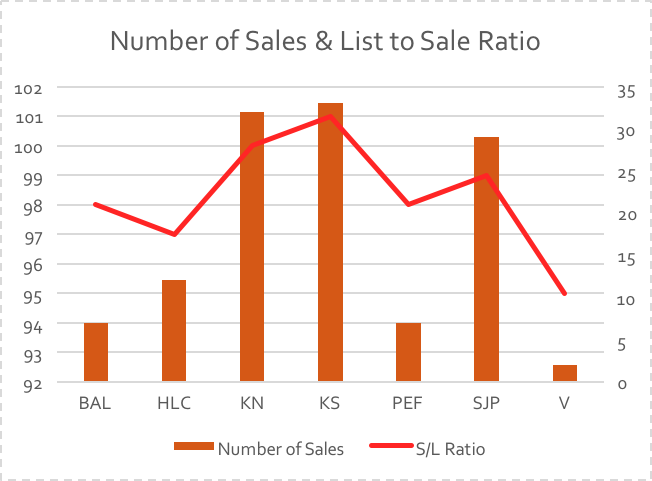 The average sale to list price ratio was 98% in Georgina this month, down from 104% at the peak of the spring market. Keswick South and Keswick North seem to be the only areas where homes are still selling over asking price on average. Despite this reality, we are still seeing record sales volume of homes for sale across Georgina – it seems that the market is just correcting back and forth on price points as sellers begin to list higher in attempt to capitalize on the growing perceived market value of their homes. Gone are the days where the majority of homes for sale in Georgina were composed of small, three bedroom bungalows and repurposed cottages. We’ve seen, over the past several months, a gradual increase in the size of homes demanded by individuals across Georgina. 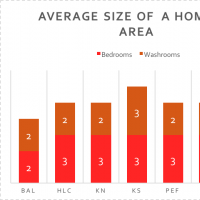 What this tells us is that the area is becoming more attractive to large families and individuals demanding larger livings spaces, which is very reflective of real estate demand in neighbouring areas like Newmarket, Aurora, and East Gwillimbury. This tells us that our role as a major real estate market in the York Regional economy is a strong one.